Exactly ten years ago, the financial world first in Kazakhstan, and then in Italy, actively discussed a somewhat unusual transaction for those times. Strange, however, more likely for Kazakhstan - for the first time a big western company with a worldwide reputation acquired a private commercial bank in Kazakhstan. The Kazakh press optimistically referred this transaction to "Deal No. 1 for the entire banking sector of a young country," expressed confidence that it is "an indicator of the maturity of the Kazakh banking system and its attractiveness to the world market," and also promised a comfortable future to other local second-tier banks. After all, the precedent is created, and it is quite possible that, if desired, another buyer, as generous as the Italians, would appear. It seemed like an idyllic picture: create a bank and then sell it at a higher price to Western partners. It is about the international UniCredit Group, headquartered in Milan, represented in Almaty, the former capital of Kazakhstan, by the Almaty Trade and Finance Bank, or abbreviated as ATF Bank. In principle, the optimistic estimates of this deal had a real basis. After all, according to all official information, ATF Bank, which ranked the fifth at that time in Kazakhstan, looked quite attractive. Established in 1995, it was one of the first in the country to switch to international standards (it was actively helped by the then partner and co-founder - the Dutch company Mees Person), successfully mastered new technologies, produced its own gold bars, and most importantly - actively assisted the Kazakh government in the implementation of international financial activities. In particular, it quickly became the operator of the German credit line (Kreditanstalt fur Wiederaufbau - KfW) within the framework of intergovernmental financial cooperation between Germany and Kazakhstan. 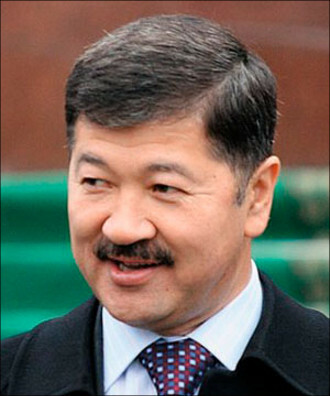 According to experts, in many respects, another co-founder contributed to its fortune, and in fact, the majority shareholder and the actual owner of the bank - Bulat Utemuratov - who was not only a successful entrepreneur but, first of all, a high-ranking and promising official in the Kazakh government. During the Soviet years, Bulat Utemuratov worked as the deputy director of one of the major Almaty groceries, which later modified into the supermarket. And then he oversaw trade in the district municipality. However, with the republic's gaining independence, other opportunities opened up before him. Thanks to good acquaintances - trade workers during the Soviet deficit always had the opportunity to acquire handy links - Bulat Utemuratov became the general director of the Kazakh Trade House in Austria in 1992-93, where he worked closely with Rakhat Aliyev, who was in charge of the Kazakh-Austrian business cooperation matters. A little later, Bulat Utemuratov established personal and business relationships with another influential businessman, Timur Kulibayev. When Utemuratov created his bank, he introduced Kulibayev to the board of directors and proposed a post of the chairperson of the credit committee. At that time, he served as the first deputy minister of industry and trade of the Republic of Kazakhstan. Here, however, there was one legal awkwardness. Just at that time - namely in August 1995 - the Decree "On Public Service" of the President of Kazakhstan came into effect having the Article 13, which states that civil servants have no right "to engage in business activities, including to participate in the management of an economic entity, regardless of its organisational and legal form." It is quite obvious that this was a logical and reasonable step to prevent corruption and outright lobbying by officials of their personal and business interests. However, as is often the fact in the post-Soviet space, in such cases, "all are equal, some are more equal." And the practice showed that the controlling bodies could turn a blind eye concerning some "particularly respected persons." Therefore, it is not surprising that young ATF Bank had no significant obstacles. Moreover, as Rakhat Aliyev later recalled, ATF Bank processed funds gained from the export of raw materials and products of some state-owned companies, and the money of such associations as "Kazahintorg" and "Kazakhvneshmash". "... But revenue and profits went not to the budget, but to the private 'ATF' that was owned by Bulat Utemuratov," Rakhat Aliyev wrote in his memoirs published outside of Kazakhstan. In short, a preferential treatment was covertly created for the prosperity of the bank, which then, undoubtedly, its top managers and then-shareholders used most of it. By the time, Bulat Utemuratov (who periodically moved from one high-ranking post to another and even engaged in diplomatic work sometimes) already had a wide range of business interests. Thanks to everything mentioned above and despite some legal shortcomings, ATF Bank had developed quite successfully. At least, according to official information and reports. Moreover, it later acquired several small banks in Kazakhstan (such as "Apogey" Bank and "Kazprombank") and grew up with several subsidiaries, including in the near abroad, for example, in Kyrgyzstan, where it purchased shares of "Energobank", and in Russia, first by acquiring the 100% stake in the Omsk bank "Siberia", and then by opening a representative office in Moscow, where Bulat Utemuratov also had many business interests. The rest was quite natural: the creation of its pension fund, the collection of numerous prizes, awards and nominations and other pleasant trivia. And quite unexpectedly for outside observers in late 2006, insider information about the possible sale of ATF Bank began to leak in Kazakhstan. And not to some kind of friendly and known entity, but generally outside. On the principle of "who would offer more." There was no detailed explanation why Bulat Utemuratov and other majority shareholders needed it at that time. Something like the whim of the owner or the search for the necessary free funds. "... 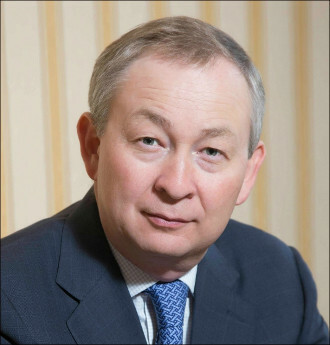 I had several conversations with the president of this bank, Dr Erich Hampel, in his office at Schottentor, where he had been trying to find out more about the true Kazakh sellers and the investment climate in Kazakhstan. I had spoken about the situation in the country in detail and advised to wait a little with the offer, at least two months because they were only buyers, there were simply no other customers, despite the assurances of the sellers and their Swiss consultants..."
By the way, both sides had a lot of consultants of the deal. In particular, the main consultant of ATF Bank in the transaction was JP Morgan, and UniCredit was serviced by Credit Suisse, UniCredit Markets, and Investment Banking. The biographies of the management of consultants have curious facts. So, in particular, one of the leading analysts of JP Morgan was young financier Guram Andronikashvili. And sometime after the successful Kazakh-Italian deal, Guram Andronikashvili decided to change both his job and residence radically. He preferred Almaty to Geneva and London, where he first settled as the deputy general director in Bulat Utemuratov's "Verny Investments Holding", and then moved to Utemuratov's owned ForteBank, where he currently is the first deputy chair of the board. Whatever it was, but apparently, the transaction consultants found no hidden rocks or obstacles, and after a while, it was announced publicly about the upcoming auction. It is noteworthy that, practically in parallel with this news, the media received official information that ATF Bank attracted a syndicated loan for a total of $ 207 million. Of these, $ 120 million accounted for the credit line, opened directly by the potential buyer - Bank Austria Creditanstalt AG. Subsequently, already during the deal, it was announced that this loan strengthened the financial position of ATF Bank and "was able to improve the price parameters of the transaction significantly." In general, even nonexperts would see everything somewhat mysterious: a potential buyer pumped up his possible property with additional funds (more precisely, debt encumbrance) to buy subsequently more expensive. "In early 2006, the bank's assets were $ 2.03 billion, by the end of the year they were already $ 8.3 billion - this is a very significant leap for one year. The golden rule is that the ratio of assets to equity should be at least 10%. To maintain a balance at the level of $ 8.3 billion dollars, you need to have about $ 830 million of equity capital. To date, our capital is stretched thin enough; it is about $ 500 million. To grow further, we need new resources. For every billion dollars, you need to invest $ 100 million of your capital. The question is where to get these funds. There are three sources. The first is the means that existing shareholders can provide. What they, in fact, have been doing until today, but the growth rate is too high. The second is to find a strategic investor, the third - to sell shares," told the Chairperson of the Board of Directors of ATF Bank Timur Isataev, who is also the confidant of Bulat Utemuratov in almost all his business projects. "I would like to add about the growth of assets," Talgat Kuanyshev, Chairperson of the Board of ATF Bank, told journalists. "Growth was in 2006 because we bought several subsidiary banks, by that time one already operated. We also dramatically increased the number of branches. Accordingly, there was a need for additional funding. To meet the needs of new sales points, to meet their demand for resources, we had to produce large borrowings. Therefore, we needed our capital of a certain size and constant infusions into this capital. The bank is constantly growing in all markets. According to our development plan for three years, we can achieve a balance of $ 20-25 billion..."
Finally, Timur Isataev explained the motivation of the Italian partners. In his opinion, the reason for the purchase was the fact that foreign financiers liked ATF Bank very much in all respects. Well, as the beautiful and rich bride for marriage: "If UniCredit decides to purchase a bank, it means that it likes what this bank does. It likes the bank's strategy, management and potential. Impressed by everything..."
In conclusion, there was a general optimistic conclusion: "We received the report from JP Morgan, which recognised this deal as the largest in the CIS [Commonwealth of Independent States] and the top three in Eastern Europe for mergers and acquisitions since the fall of the Iron Curtain. We believe that this is yet another proof that our banking system is worth something and has achieved something recently. This deal certainly made a positive impression on other Kazakh banks. Those who began to think about the sources of financing will also come to the choice of IPO or direct sale. This is prompted by the struggle for market share and overall economic growth." The representatives of the Italian side did not stay away from the positive descriptions of the deal. As the official press release of that period said, "This transaction confirms the continued strong commitment of UniCredit Group to the CEE [Central and Eastern Europe] region. Through the acquisition of ATF [Bank], the Group will strengthen its network through a leading presence in the Republic of Kazakhstan, as well as additional operations in the Republic of Kyrgyzstan, the Republic of Tajikistan and the Russian Federation. The expansion in the Republic of Kazakhstan, with its fast growing and stable economic environment, is a natural development of the growth strategy pursued by the UniCredit Group in the course of the last decade in the CEE, Turkey and CIS countries". Further, purely technical procedures began. 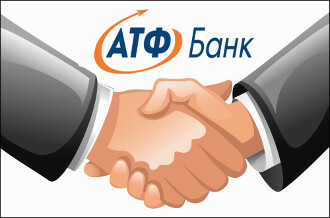 And during the summer-autumn of 2007, the deal to acquire ATF Bank was closed. Officially, it sounded on the Kazakhstan news sites as follows: "In June 2007, Bank Austria-Creditanstalt AG (UniCredit Group for commercial and banking operations in Central and Eastern Europe) and private shareholders of the bank signed an agreement on the acquisition of a majority stake in ATF [Bank]. In November 2007, Bank Austria Creditanstalt AG acquired 91.8% of the shares of ATF Bank JSC (joint stock company) for $ 2,117 million." The sellers were specified: "Before the sale of ATF Bank to the UniCredit group, 17.85% of its shares belonged to Bulat Utemuratov, 9.6% of shares to his two sons (an extract from KASE as of 1 October 2007). The second largest shareholder was "Aktaustroinvest" LLP with 12.5% of the bank's shares, 6.2% of securities belonged to KazTsink JSC, 5.44% to Global Investment Group LLP. At this moment, 99.69% of ATF Bank's shares belong to UniCredit Bank Austria". It is essential that this time the press mentioned the existence of the "Law on Public Service", with its prohibition for bureaucracy to participate directly in business activities (at the time of sale of the bank, Bulat Utemuratov was the Administrator of the Office of the President of the Republic of Kazakhstan), therefore, a power of attorney for trust management of shares issued to Mrs Azhar Baishuakova (maiden name of Utemuratov's spouse). "I remember, how together with Talgat Kuanyshev, we actively discussed all possible options with our main shareholder", Timur Isatayev told media. "In the end, we decided on two possible options - IPO and 100% sale. And we started work on both options at the same time. The final decision to sell the bank was very difficult for Bulat Zhamitovich [patronymic of Utemuratov meant to express respect in post-Soviet countries - note by Fergana News]. After all, it was important to sell the business without losing key people. We succeeded in everything..."
According to the Forbes magazine, "UniCredit had to write off over € 500 million from the cost of a Kazakh bank in less than a year, as this Central Asia country has been shaken by the credit crisis." Then, foreign units began to "fall off" from ATF Bank, and in particular, the Russian Bank of Siberia. However, it could be called a "technical reorganisation in the framework of optimisation." The problems were even in details: in 2008, the hedge fund "QVT Fund LP" as minority shareholders were able to reach the decision in the specialised inter-district economic court of Almaty banning the name of UniCredit and logo in its advertising. Minority claims were related to the fact that 100% of ATF-Bank does not belong to the Italian group, which means that it can not conduct such advertising campaigns. And the losses, meanwhile, continued to grow, like a snowball. So much so that the transaction, carried out at the end of 2007, was declared unsuccessful. Or produced at an inappropriate time. Again, according to Forbes, referring to the financial statements of the bank: "UniCredit, who bought Kazakhstan's ATF Bank in the fall of 2007 for $ 2.2 billion from Kazakhstan's billionaire Bulat Utemuratov, did so at the most unfortunate time, before the global crisis. Accumulated losses as of 1 January 2012, according to the audited annual report, amounted to more than 101.7 billion tenge (about $ 700 million). The bank fixed them, however, in 2012 the downward trend continued - losses as of 1 July totalled 3 billion tenge, and as of 1 October - 4.6 billion, and as of 1 January 2013, according to the National Bank - about 11 billion tenge ( about $ 73 million). At the beginning of 2013, the share of loans overdue for more than 90 days in ATF Bank was 42.66%..."
The natural decline began in rankings. At once two worldwide agencies, Moody's and Fitch, lowered the ranking of the bank in some positions in 2011. Thus, Moody's downgraded the long-term deposits of ATF Bank in local and foreign currency from "Ba2" to "Ba3", the senior unsecured debt rating of the bank in foreign currency - from "Ba2" to "Ba3", its subordinated foreign debt in foreign currency - from "B1" to "B2". In turn, Fitch Ratings affirmed the issuer default ratings (IDR) of ATF Bank in foreign and national currencies at the level of "BBB". These ranking actions followed the placement of long-term IDR of UniCredit Bank to "negative" under the supervision list of Rating Watch. Financial analysts and observers in different countries puzzled, what was happening with ATF Bank? It would seem that the declared capitalisation of eight billion dollars of assets, reliable forecasts with the prospect of at least doubling this amount - and such serious problems. As the possible reasons, the world financial crisis was also named (although, in the opinion of the Kazakhstani authorities, Kazakhstan was exposed to a lesser extent), the presence of American securities in the ATF Bank portfolio, the unfriendly policy of the then Prime Minister of Italy Silvio Berlusconi in relation to UniCredit and even the arrest by the Italian tax police of part of UniCredit's funds in the amount of $ 245 million. Then the tax police of Italy accused the group of tax evasion. Bulat Utemuratov, the former main shareholder of the bank, admitted in the interview with Bloomberg that the deal with UniCredit soon turned into a "public nightmare," but also preferred to point all the negative consequences from it to the global credit crisis. "As it turned out, the deal turned out to be not so successful - it's hard to say, but it's clear that now the Italian banking giant does not need ATF Bank obviously," Bloomberg analysts said widely in the Kazakh media. Nevertheless, the forecast turned out to be correct, and in 2012 Reuters, referring to its sources, informed of plans of the Italians to get rid of ATF Bank. The same publication, by the way, did not rule out the possibility that Bulat Utemuratov could repurchase it, though for a slightly different amount than its price in 2007. The billionaire himself did not confirm this information but preferred to recall how successful was the deal with the Italians for him in 2007: "I highly appreciate the professional success of my team. First of all, I would like to note the special role of Timur Isataev and Talgat Kuanyshev. They successfully conducted some significant projects and transactions in the financial market of Kazakhstan. Among them: the deal on the sale of ATF Bank to the UniCredit group in 2007..."
Well, what about the Italians? It seems that they obviously wanted to somehow "save face" in such a ridiculous situation and just stated that their possible withdrawal from Kazakhstan is connected with unattractiveness of the region (which, you would agree, was somewhat dissonant with the victorious releases of the 2007 year). So, UniCredit top manager Gianni Franco Papa said that the group is considering a sale of the regional subsidiary of Bank Austria in Kazakhstan since this post-Soviet country is not a profile direction of the expansion of the bank. The further process was again of a purely technical nature, and after a while, the question arose about setting the price for the ATF Bank share for subsequent sale. There were also optimistic forecasts by some analysts who believed that the total amount of the deal would be about $ 2.1-2.4 billion (that is, about the amount of sale of the bank UniCredit in 2007), or even slightly more. And pessimistic. For example, according to the Interfax news agency, the chief specialist of the sectoral analytics department of BTA Securities Nadira Tabyldieva suggested that the market price will be significantly lower than the book value of the share. As further events showed, sceptics were right. Moreover, the real amount of ATF Bank sales was even lower than the most pessimistic forecasts. On 15 March 2013, UniCredit Bank Austria signed a share purchase agreement with KazNitrogenGaz, which is not very well known to the general public, about the sale of 99.75% of ATF Bank. The deal amounted to approximately $ 493 million. Thus, the owner of KazNitrogenGaz, 31-year-old businessman Galymzhan Yesenov, who is the son-in-law of another large Kazakh official Akhmetzhan Yesimov, could be proud of such an impressive discount compared to the value of the bank in 2007. Moreover, after the acquisition of the discounted ATF Bank, which seemed to be going through very difficult times, that miraculously could give again quite good indicators. Already the following year, ATF Bank was recognised as the best bank in Kazakhstan by the "The Banker" and "PWM" magazines, then became "The Bank of the Year" in Kazakhstan according to the "The Business Year" magazine and gained several serious international awards in a variety of categories. And at the same time, the bank took one of the leading places in the country concerning assets, credit, and deposit portfolios. But Bulat Utemuratov, who received several billion US dollars, still conducts successful business activities, including buying up or establishing new banks. Perhaps, as for the subsequent, equally profitable sale. So what happened ten years ago? The incredible luck of the businessman and influential Kazakh official Bulat Utemuratov (generally a novice in this business) - or an equally bad luck for the experienced international financial group that was surprisingly incapable of anticipating possible risks and not knowing all about the prospects of the financial institution they acquired? Why did the Italian partners so easily accept the loss of more than two billion euros? (Ultimately, UniCredit incurred substantial material losses on ATF Bank, which exceeded the mark of two billion euros or $ 2.76 billion.) This information was released in March 2013 by Mr Willibald Cernko, who at that time was the chairperson of UniCredit Bank Austria. At the same time, the banker focused on this statement only after UniCredit sold ATF Bank. It is also not clear why the Italian partners were not interested in the degree of opacity of the ATF Bank they were acquiring, which former sellers in Western sources say aloud, and in particular, in comments to Bloomberg: according to Timur Isataev, head of ATF Bank, "ATF was not a model of transparency." According to Isataev, the main problem of ATF Bank was the structure of its property, which in its essence was a huge number of offshore companies." There was a tradition in the country to hide the ownership structure," Isataev said, and Utemuratov decided not to declare himself the real owner of ATF Bank to the state regulating authorities for about ten years. This information appeared only in December 2006, at a time when he decided to sell the bank. "This, indeed, was a very strange transaction," commented a member of a large audit firm in Kazakhstan, familiar with the situation in the banking sector. "And the 'non-resistant' position of the Italian side to the further events, of course, surprises. However, it is possible to prove any fact of interest precisely in such a development of events only if both sides are open and transparent, or at least with active participation in the investigation of one of the partners.